If you ask which neighborhood is home to the majority of locals, one of the most common responses will be Montgomery Estates. Many consider this neighborhood to be the best of two worlds – city and county living. Montgomery Estate’s South Lake Tahoe homes for sale include city advantages such as shopping, dining, movie theaters, etc. all within a few short miles and at the same time, the quieter environment found in the county neighborhoods. 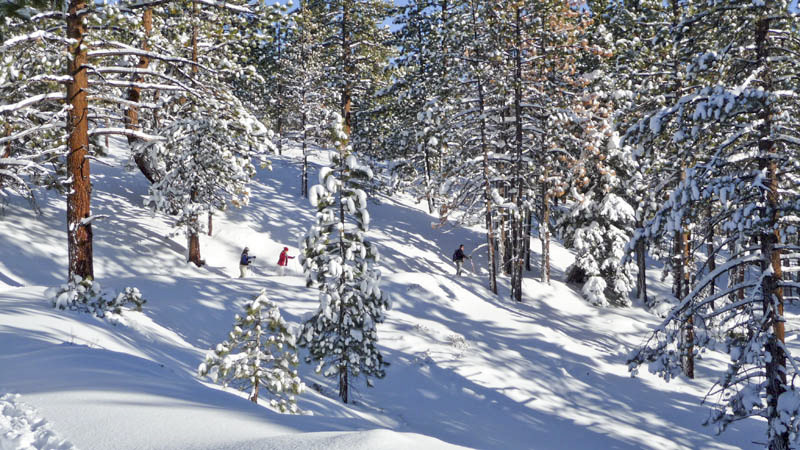 In fact, Heavenly Mountain and the El Dorado & Regan Beaches are all located within four short. The advantage of county living comes with the allure of more spacious and private lots, a peaceful environment and well-kept properties. When looking from an aerial view, Montgomery Estates is located approximately mid way along Pioneer Trail between Hwy 50 and Stateline. There are basically five sections to Montgomery Estates. The three neighborhoods above Pioneer Trail are called Cold Creek (or Lake Christopher,) Kokanee Estates and High Meadows / Marshall Trail with Golden Bear and Meadow Lakes below. Meadow Lake has an extra bonus of underground utilities. 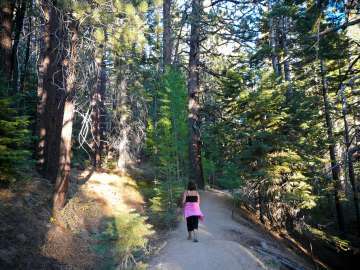 Some of the area’s most popular trails are accessed at the end of High Meadows Trail or Marshall Trail. 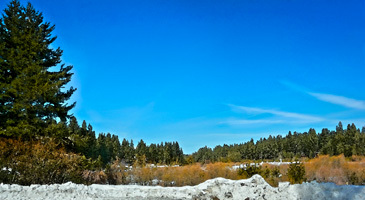 From the trail head, one can venture all the way to Star Lake for a magnificent view and adventure. 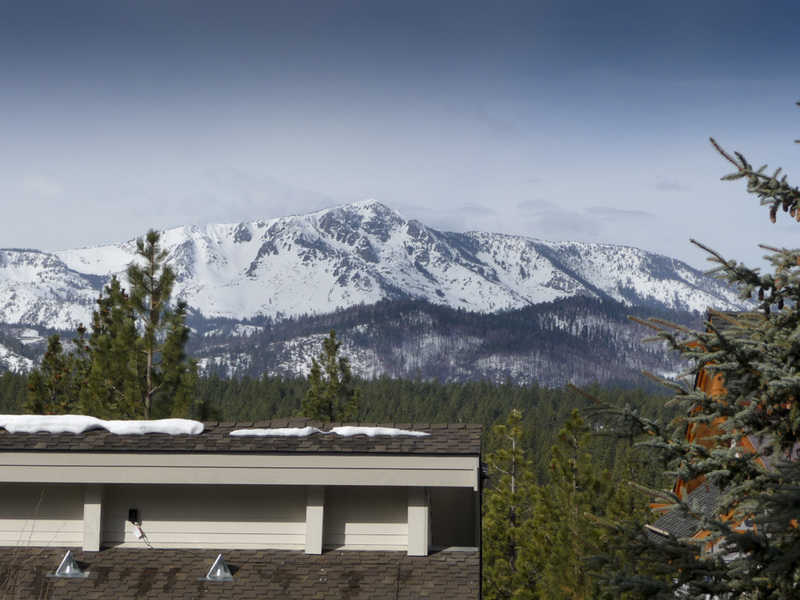 Many of the Montgomery Estates Lake Tahoe homes for sale feature majestic mountain and forest views, back National Forest land and a few even have lake views. It is not uncommon to find homes adjacent to State Conservancy land as well. 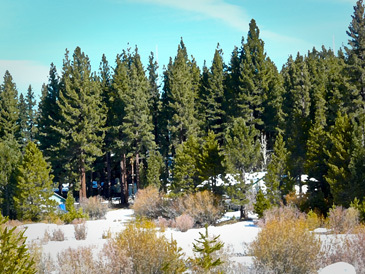 Although you may never want to leave the comforts of home, if you do feel the urge to get out and see the sights, most of the South Lake Tahoe beaches, outdoor recreation, shopping, dining and entertainment venues are all within five to ten minutes of one’s front door. 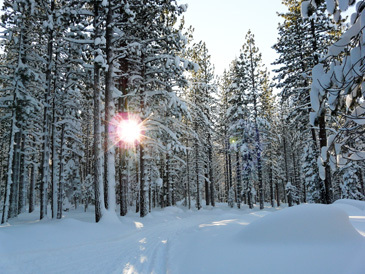 Nearly every section of Montgomery Estates benefits from a forest or meadow area within a few short steps where snow mobiles, dirt bikes, hikers, bikers, cross country skiers can all experience their slice of heaven. The closest elementary school is the award winning Sierra House School. There are approximately 965 homes throughout the area with an average size of four bedrooms, two and a half baths and 2,100 square feet of living space. There are a few older cabins however, the majority of the homes in the area were built after 1980 and are relatively newer by South Shore standards. Click here for the 2018 year end market statistics in Montgomery Estates.